Prior to joining Taj Cape Town, Wernich enjoyed an illustrious career in hotel management, most recently with Preferred Hotels & Resorts, and some of Africa’s biggest hospitality players such as Faircity Hotels, The Protea Hotel Group, and The Rezidor Hotel Group. His 25 years of industry experience encompasses luxury resort and city hotel management across South Africa, new property launches, marketing, distribution and food and beverage. Born in Cape Town, Wernich holds a diploma in Hotel, Catering and Institutional Management from the Cape Town Hotel School. 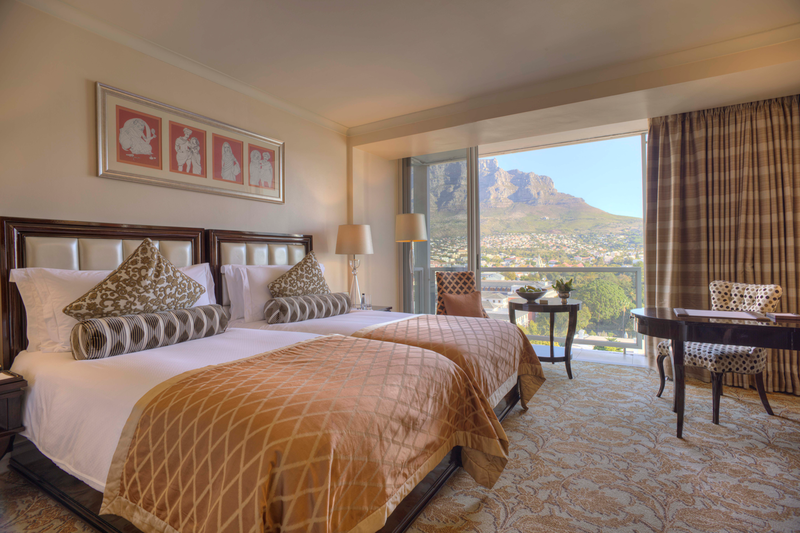 Taj Cape Town is situated in the historic heart of Cape Town, where slaves, colonialists, farmers, judges, politicians, scholars, freedom and Nobel laureates helped shape the history of South Africa. Many of the buildings where these individuals lived, worked, and planned still stand today and most are open to the public. 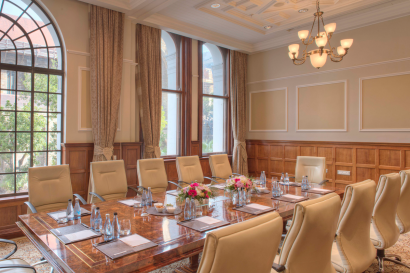 Taj Cape Town occupies two historic buildings; both retain their original architecture and many meticulously restored interior features of the original South African Reserve Bank and the old BoE building – formerly the Temple Chambers – built in 1890. 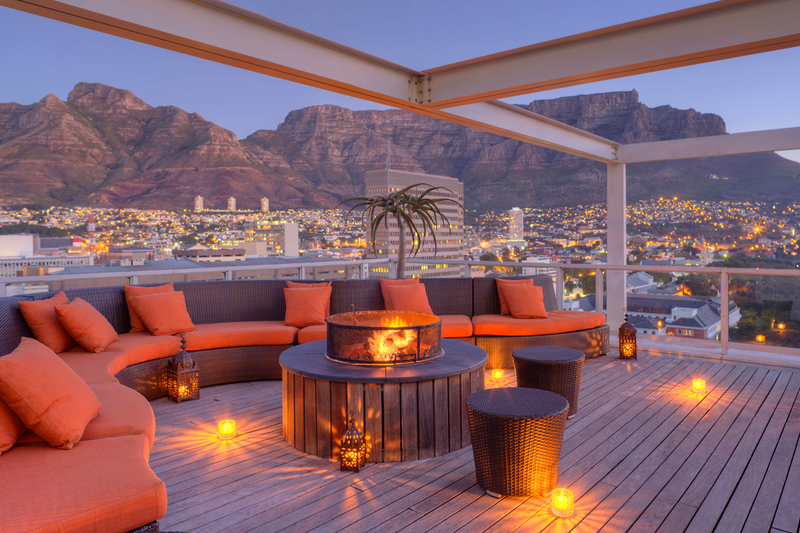 • Location: Taj Cape Town is situated in the cultural heart of Cape Town’s city centre and offers guests’ authentic experiences, rich culture, vibrant atmosphere, people and food, all right on our doorstep. • Authenticity: Immerse yourself in the heart and soul of Cape Town, away from the touristy hustle and bustle of the V&A Waterfront. • History & Heritage on our doorstep: Within walking distance of Cape Town’s historic landmarks and attractions including museums, the Houses of Parliament, the Company’s Garden, St. Georges Cathedral, St. Georges Mall and the Ou Kerk (Old Church). • Endless Entertainment: Some of the best sidewalk cafés, bars, coffee shops and restaurants, plus vibrant nightlife are a short walk away in Long Street and Bree Street. • Food & Wine: Considered the food capital of South Africa, Cape Town has an abundance of dining options, including food markets, many within walking distance of Taj Cape Town. • Shopping: You will find a variety of clothing boutiques, shops and antique stores near to Taj Cape Town, many within walking distance. The V&A shopping centre is a 10 minute drive away and we also offer a complimentary hotel shuttle. • Art Galleries: Over a dozen of the city’s most recognised and renowned art galleries are within 10 minutes’ walk of Taj Cape Town. • Sight Seeing: Table Mountain – A new 7 Natural Wonder of the World; white sandy beaches; central to various Vineyards around Cape Town; on the City Hop-On/Hop-Off Sightseeing bus routes; Taj Cape Town offers its own guided City walk tour. • Good to know: Cape Town International Convention Centre is 10 minutes away, by car. Cape Town International Airport is a 30 minute journey by car or up 50 minutes on the My City Airport Shuttle bus depending on departure time. This museum, located in the colourful Bo-Kaap area, showcases the local Islamic culture, heritage and history. This area became home to many Muslims and freed slaves after the abolition of slavery. This museum traces the fascinating history of the South African Jewish community. The Holocaust Centre displays vivid footage, photos and sound tracks of the holocaust. The entrance to this fabulous garden is in Adderley Street opposite the hotel. Amble along and enjoy the beautiful rose gardens, magnificent trees and sprawling lawns, or take a rest on one of the many park benches and soak up the sun and the beautiful views. Look out for the many historic statues and the resident squirrels. This museum commemorates the residents that were forcibly displaced from the area known as District 6, and shares many memories of their experiences. Remember to book in advance to visit Parliament set in a magnificent Corinthian style building overlooking the Company’s Garden. Guided tours include the history, events and how Parliament works. One of the oldest buildings in Cape Town, the Iziko Slave Lodge is situated adjacent to the hotel. This museum explores the long history of slavery and the important part this community played in our colonial history. This natural history and science museum was founded in 1825 and showcases a stunning display of million year old fossils, animals, human tools and clothing. Situated directly across the road from Taj Cape Town, this stunning cathedral is ta must-see on your holiday list. Known as The People’s Cathedral, it is known as a site and focus of resistance against apartheid. Look out for Arch Bishop Desmond Tutu. Bell ringing takes place at 7pm on Tuesdays, and 6:15pm on Sundays. Built in a pentagon shape, this is the oldest surviving colonial building in South Africa. The key ceremony and firing of the signal cannon cannot be missed. Below the City of Cape Town there are Secret Tunnels dating back to the 1650’s. Climb aboard a red double decker bus, see the sights and tune into your very own Kids Channel on board. Look out for the hop-on hop-off signage. Pack some snacks and refreshments and take a wonderful hike on the circular path around the mountain with constantly changing views of the city. Table Mountain, one of the ‘7 Wonders of Nature’ is the flat-topped mountain forming a prominent landmark overlooking the city of Cape Town and Taj Cape Town. Above the door to the Twankey Bar is a sculpture of a shepherdess, commissioned in 1894 by the Board of Executor’s architect. The sculpture was not well received by the townsfolk who felt the subject matter was both ridiculous and a waste of money. The shepherdess was thus nicknamed “Widow Twankey” after a then famous pantomime dame. Widow Twankey was first written about in 1861. Her character ran a Chinese laundry in Peking, China. She was a pantomime dame; i.e. she was always played by a man. The name has stuck to this day. Taj Cape Town is the hotel included in the MONOPOLY Cape Town Edition. It will cost players 320 MONOPOLY money, to acquire this landmark hotel. Other Cape Town favourites which feature on the MONOPOLY board include the City Walk, Table Mountain, Robben Island and Groot Constantia. Children staying at Taj Cape Town will automatically be offered the Kids@Taj programme. – All rooms include hi-tech AV connections to the flatscreen televisions. – Multiple complimentary television channels (Disney, National Geographic) are on offer as well as a number of movies on demand (extra charge). – Complimentary gaming consoles as well as board games are available on request, subject to availability. – Kids menu available in Mint Restaurant. 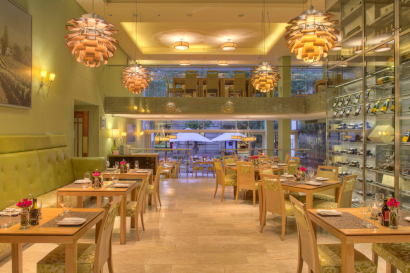 – Under 12 years old may dine at Bombay Brasserie between 18h00 and 19h30. – Festive Period: An activity trolley is available in Mint Restaurant for children to help themselves. – Our 2-bedroom Family Suite is a wonderful option for families as it includes a lounge area with television, twin bedroom with separate bathroom and a king bedroom with bathroom en-suite. The total floor space is from 100m2, excluding the balcony. – A third adult/child over the age of 3 years can be accommodated in some of our Luxury rooms and all suites with an extra fold away bed at an additional cost. – Infants below 3 years will be provided with a cot and blankets at no extra charge. Among the many things to see in the Company’s Garden, children will love the aviary, fish pond and feeding the squirrels as they scamper through the gardens. Children will love the firing of the noon gun on Signal Hill which, in days gone by, signalled the arrival of ships in Table Bay harbour. Children are always fascinated by the rotating floor of the cable car, which turns a full 360º during the trip to the top. Once at the top, there are endless paths to explore and things to see. Visit the planetarium and watch a show in the reclining chairs. This provides a great introduction to astronomy for children. For a fun afternoon with the family, head to the Putt-Putt course situated on the promenade in Mouille Point and try your hand at a round of mini-golf. The putt-putt course situated on Beach Road offers fabulous sea views from the course. Take a unique guided historical tour of Cape Town in a horse-drawn Victorian Omnibus. Remember to book at least 24 hours in advance so as not to miss out on this exciting tour. One of the great botanic gardens of the world, there is plenty for children to do as well. Children love to discard their shoes and paddle in the brooks and streams and play in the shade of the many trees. Rocklands Park has become one of the most popular family destinations in Cape Town. Children will have endless fun climbing and playing on the fantastic play equipment. Parents, prepare to be there for a while. 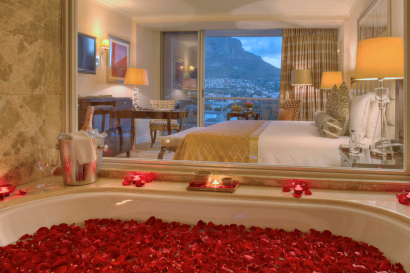 Taj Cape Town’s 176 exceptional rooms and suites offer a retreat from the energetic buzz of the city centre. 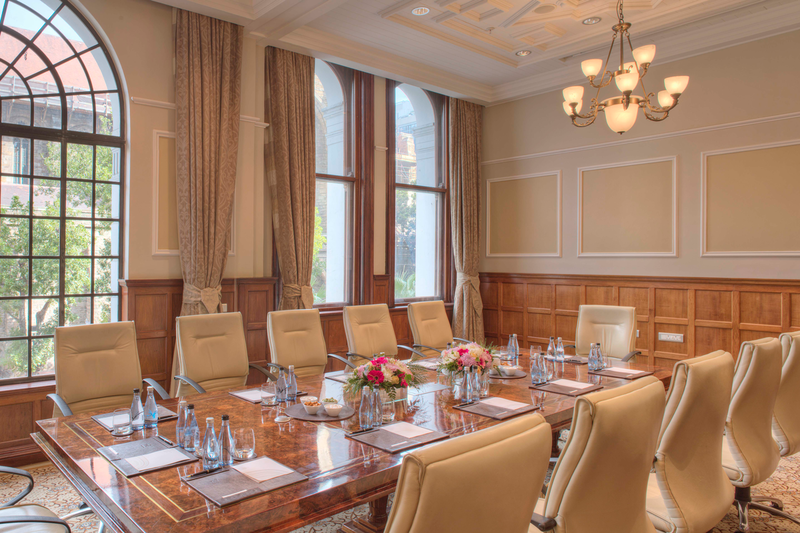 The historical buildings that make up Taj Cape Town are home to the exquisite Heritage Rooms and Suites, Luxury Towers Rooms and Suites with walkout balconies overlooking beautiful city or mountain facing views, The Presidential Suite and the Taj Club Rooms and lounge. Our one Bedroom Suites with separate bathrooms are located in either the Heritage or Towers building, and our Two Bedroom Family Suites are located in the new Towers building. These suites have a spacious living room with a separate work area. Guests who stay in the Suites have access to the private Taj Club floor lounge for complimentary breakfast, afternoon tea and evening cocktails. Two Bedroom Family Suites have both a King Bed and Twin Bedded room. 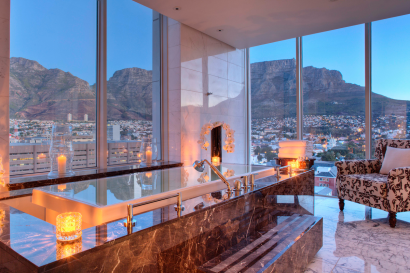 These suites offer a view of either the city or Table Mountain. 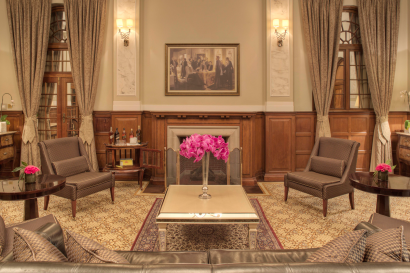 The Heritage Rooms are classically designed and are located within the two historic buildings of the hotel. All have traditional high ceilings and original large sash windows. All the Luxury Tower Rooms have floor to ceiling glass facades and private walkout balconies, from where guests can enjoy splendid views of the City or Table Mountain. 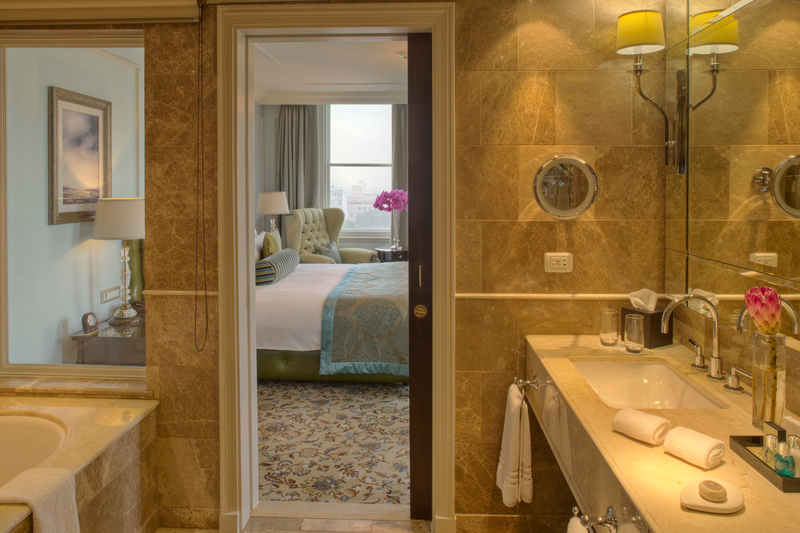 All our spacious en-suite bathrooms have separate, deep oversized bathtubs and dual-headed walk-in showers. The Presidential Suite, located on the 16th and 17th floors, is the premier Taj Cape Town Suite. It is exceedingly spacious at 194m² and offers unobstructed views of Table Mountain and the Company’s Garden from every room. 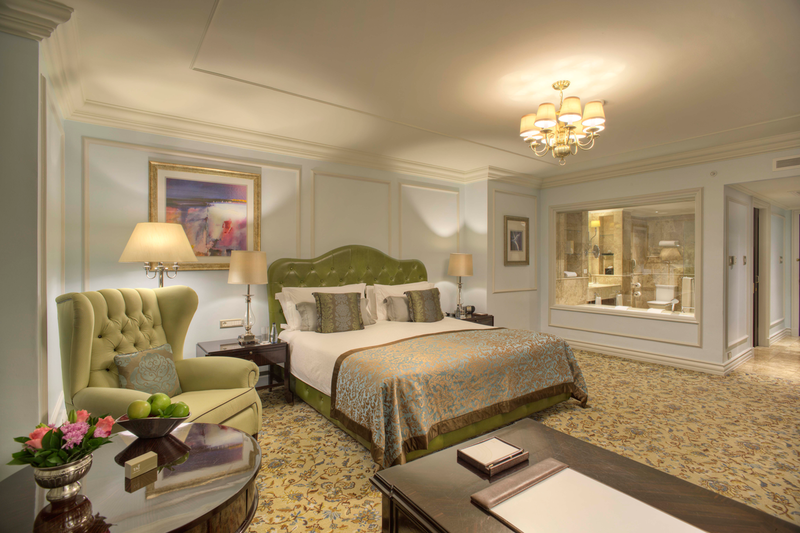 The Presidential Suite consists of two spacious bedrooms set for royalty, an opulent lounge with panoramic views, formal dining room, dedicated pantry, spa treatment room, steam room, personal exercise room and large study. The wrap around terrace, set against the breath-taking backdrop of Table Mountain, provides a number of social recreation options for guests. Bombay Brasserie, the signature speciality restaurant of Taj Cape Town, is the quintessential choice for Fine-dining Indian gourmet cuisine. Offering an opulent, yet classic, setting, the restaurant offers an atmosphere of rich in elegance and an Indian inspired menu created by world renowned Chefs from India. MINT, the Local Grill, is our casual all-day dining restaurant with outside terrace and indoor show kitchen. Specializing in innovative international and local dishes, Mint is the perfect place to relax and unwind with family and friends and takes the concept of a neighbourhood restaurant with a warm, welcoming atmosphere and combines it with a healthy, natural range of options. 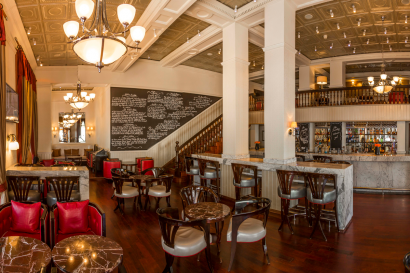 Along with a fine selection of local wines and bubbles served in Cape Town, The Twankey Bar has now joined a growing list of iconic bars specialising in world class, bespoke cocktails. A great place to meet friends and mingle with Capetonians. The impressive lobby is dominated by a barrel-vaulted skylight, supported by four fluted marble columns, all of which have been meticulously restored. You can enjoy a morning coffee or Afternoon Tea in these impressive surroundings which also leads into a cocktail bar and cigar lounge. 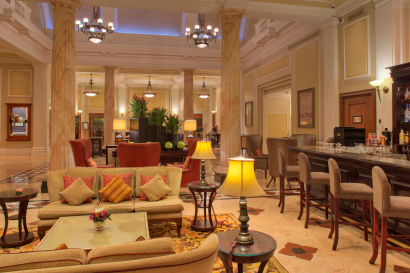 The Taj Cape Town Cigar Lounge is a glamorous way to start or end an evening. Here gorgeous cocktails and fine cigars are de rigueur. 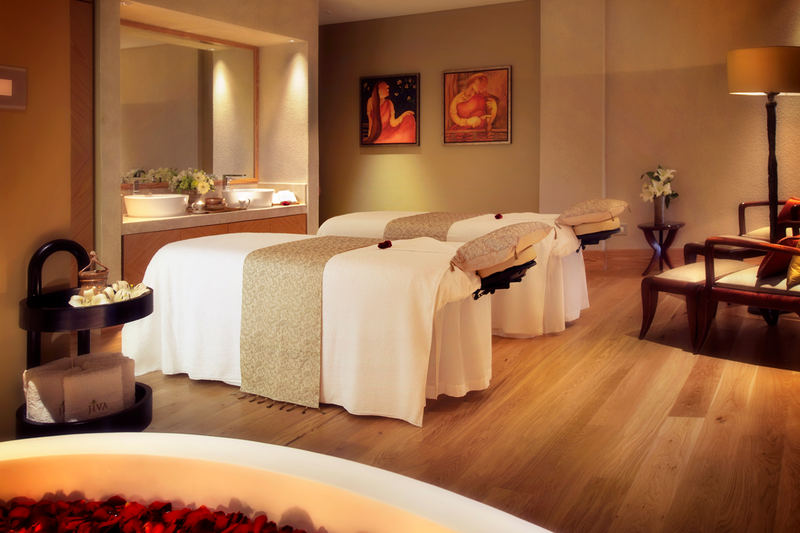 Jiva Grande Spa brings together the wisdom and heritage of the Indian philosophy of wellness and well-being. 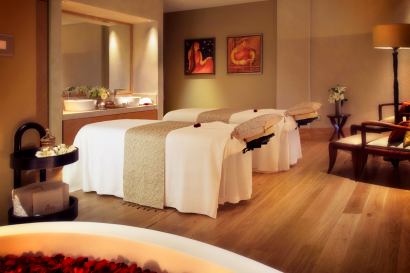 Rooted in ancient Indian healing knowledge, Jiva Grande Spa derives inspiration from the holistic concept of living. The award winning Jiva Grande Spa is one of its kind in Africa with unique and authentic wellness treatments and experiences. Also on offer is complimentary use of all wet areas, heated pool, and a high tech gymnasium. Meeting Rooms and Banquet facilities are located in the Heritage Wing of the hotel and include 9 well-proportioned and equipped spaces available for a variety of meetings, conferences and events. The meeting facilities are also complemented by a fully outfitted business centre. The Reserve at Taj Cape Town is Cape Town’s luxury meeting and event space. Originally built in 1894, it occupies the old African Banking Corporation Building, which later became home to the Standard Bank in 1927. It underwent meticulous restoration to preserve the heritage of this landmark building while introducing the latest technologies and conveniences. Taj Cape Town has its own City Specialist professional tour guides and Concierge team to introduce to you a selection of some of the highlights and little known gems of our beautiful ‘Mother City’. We have chosen places and experiences which we believe are truly representative of the rich diversity, quality and texture of our famous city.